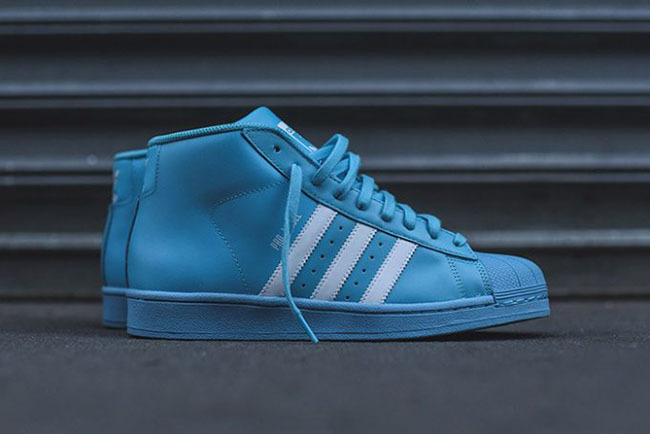 adidas Originals makes sure to stay true to their roots by releasing some of their classic models and in this case, it’s the adidas Pro Model. 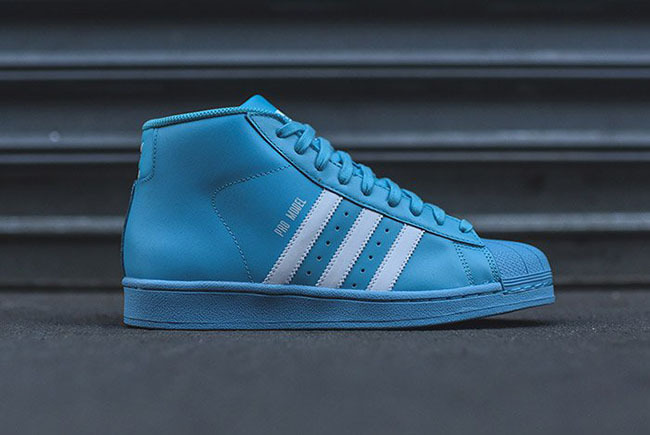 This classic model is now landing at stores which is known as the adidas Pro Model ‘Baby Blue’. 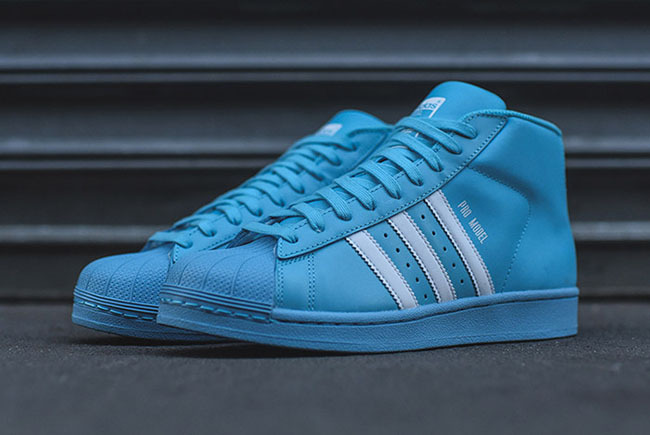 This adidas Pro Model comes with leather through the uppers while Baby Blue is used. 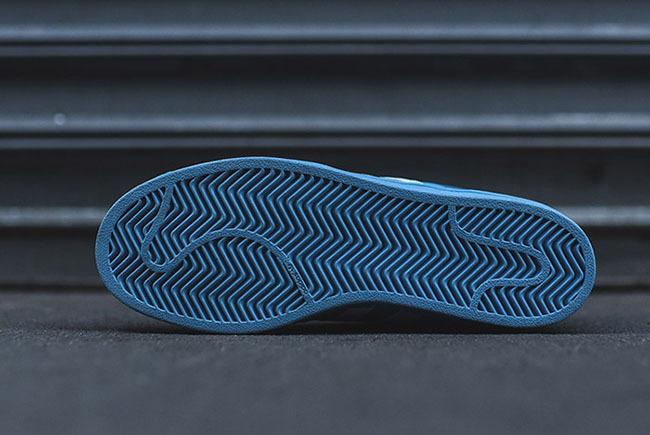 The same shade will also land on the tongue, laces, liner, midsole and across the rubber shell-toe. Allowing the branding to stick out, White lands on the Three Stripes down the panels, tongue and trefoil on the heel. 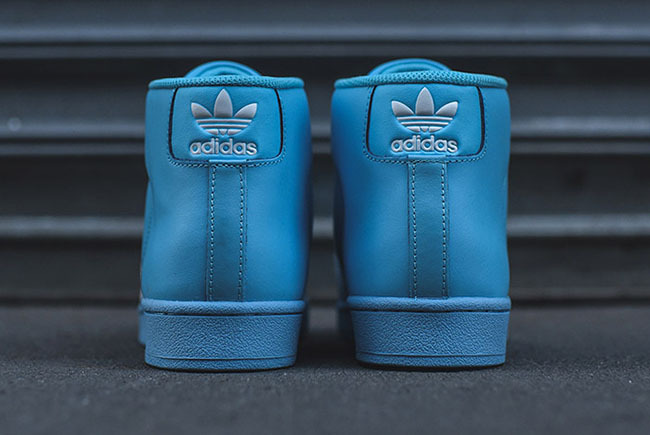 For those that want to check out a detailed look of the adidas Pro Model Baby Blue, keep scrolling. At the time of writing, adidas Originals retailers are starting to receive them which includes KITH. Retail price is set at $90. Sadly they are not available online and you with have to visit the shop in-person. 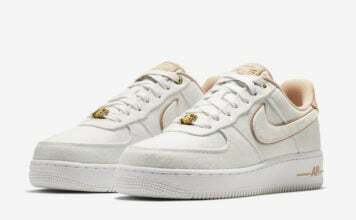 Let us know your thoughts on this clean release below.